It seems as though every time the federal government gains ground in the battle over Medicare fraud, schemers come up with new scams or variations of old ones in an attempt to stay one step ahead of the feds. So it comes as little surprise to San Francisco qui tam lawsuit attorney Gregory J. Brod that testing conducted at clinical laboratories could provide another frontier for healthcare fraud. In addition to the red flags the 1,000 labs have raised, the very nature of the relationship between clinical laboratories and physicians in general is cause for concern, according to Medicare fraud specialists. 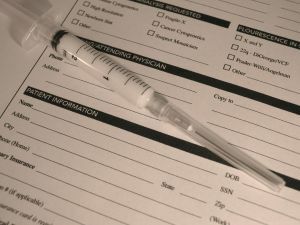 The specialists harbor a more general suspicion of inappropriate spending at clinical laboratories, whose services include blood counts, cholesterol screenings and urinalysis, because doctors order their services from the labs rather providing them directly, and whenever a chain of healthcare providers are involved the prospect for fraud rises. Not surprisingly, Medicare is the biggest payer of clinical laboratory services in the United States; the program paid out $8.2 billion in 2010 for lab services as part of its Part B benefit, which covers doctor visits as well as clinician services. And while enrollment in Part B has been increasing, going up by 10 percent from 2005 to 2010, the surge in spending for lab services through the program has been even more robust, going up by 29 percent during the same period. While only 13 percent of all clinical laboratories in the nation are located in California and Florida, 43 percent of the labs that surpassed the threshold for having five or more measures of questionable billing were in either the Golden State or the Sunshine State. Indeed, Florida has been the epicenter of much of the nation’s healthcare fraud schemes. Interestingly enough, the same day the inspector general’s report was released, the U.S. Senate Special Committee on Aging issued another eyebrow-raising report on Medicare fraud. According to CNBC, the Senate committee found that improper Medicare payments increased from $30 billion to $36 billion between 2011 and 2012. At about the same time, government officials began using a technology screening system that is similar to the one credit card companies employ to scan charges and freeze accounts. The government may be employing enhanced techniques to catch Medicare fraudsters, but schemes to defraud Medicare often don’t come to light until a brave whistleblower, protected under a provision of the False Claims Act, steps forward with important information on such scams. If you have information regarding a potential case of fraud committed against Medicare, please contact the experienced attorneys at the Brod Law Firm for a free consultation.